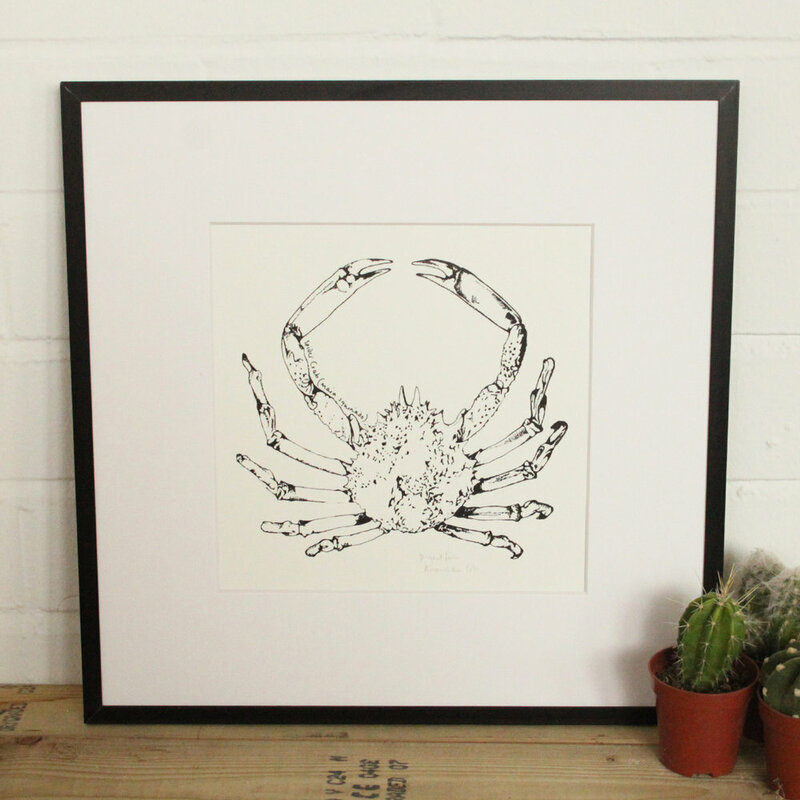 Anoushka Cole is a London based maker and illustrator. 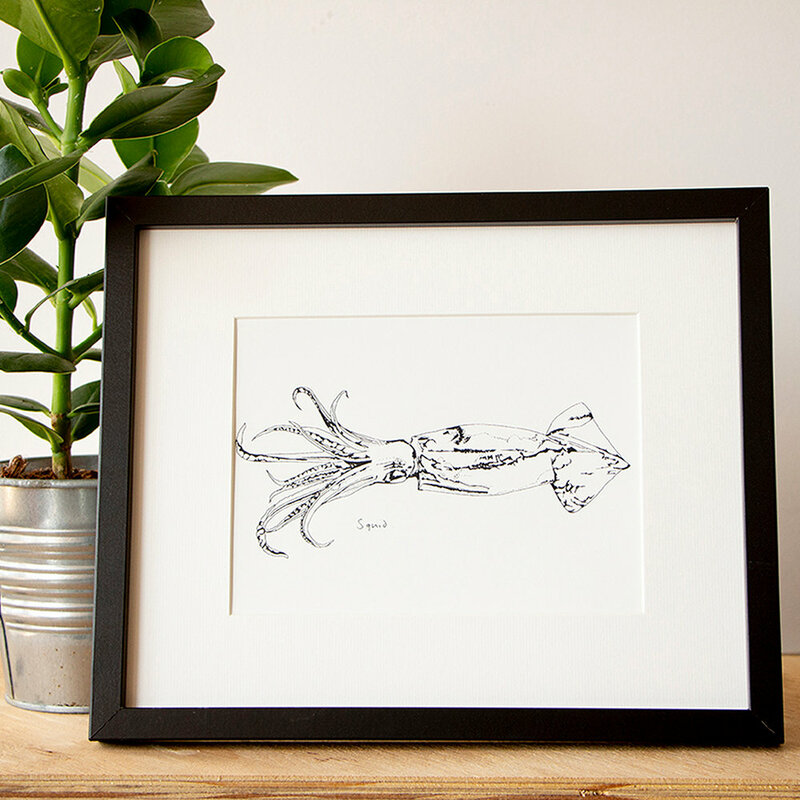 Project Fish Prints was born from a love drawing and doodling (and fish) and is a series of quirky illustrations and prints of under the sea dwellers. Depicting the life living in the seas surrounding the British Isles, the collection was initially produced alongside a materials based project utilising waste from the fishing industry. 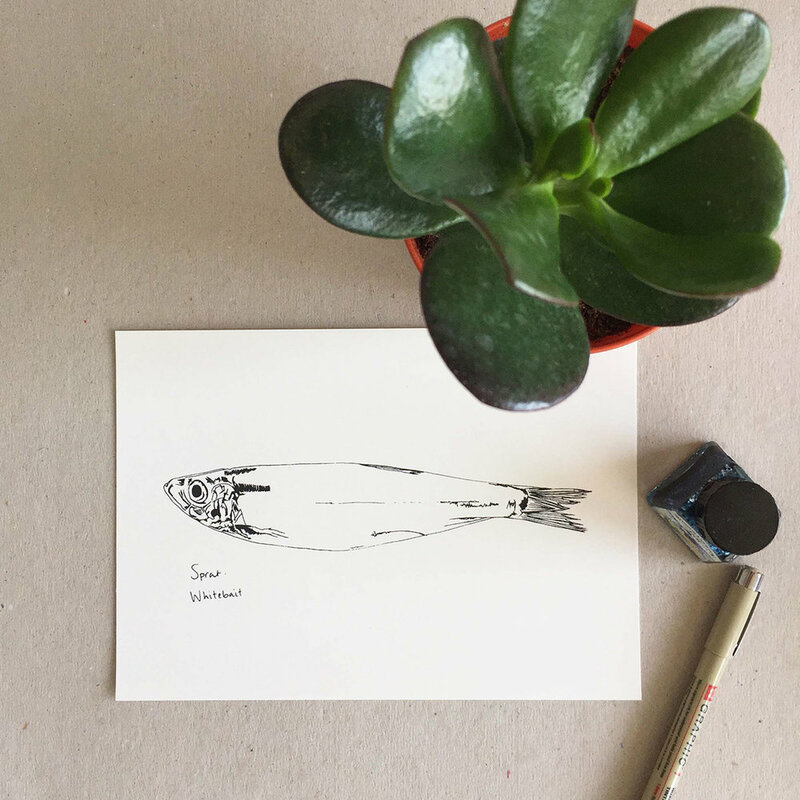 Having grown to document more and more species the illustrations have become a way to raise awareness of the increasing vulnerability of our oceans, with many species now threatened. 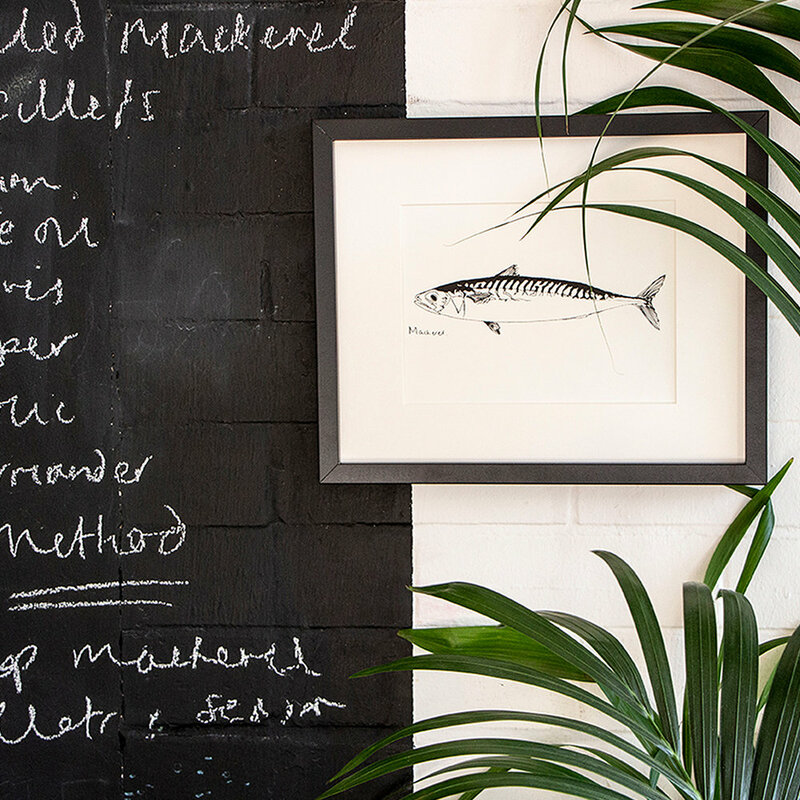 Each fishy print was originally hand drawn before being screen printed in South London. Alongside her print work Anoushka also works on a number of material based research projects.